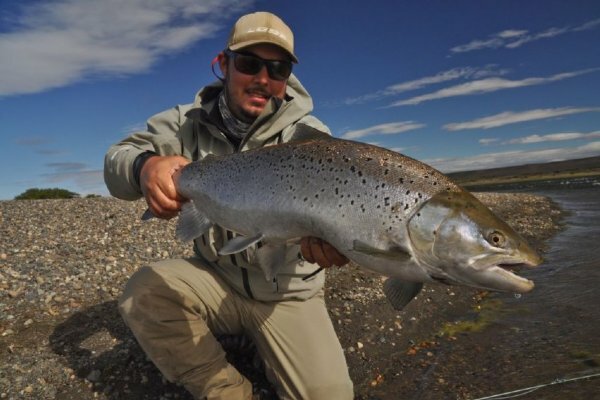 Private access to nearly 25 miles of Rio Gallegos’ most prolific sea run brown trout beats. Just north of the Straits of Magellan in southeastern-most Argentina flows the lovely and incomparable Rio Gallegos. For many a seasoned rod, this lovely low-gradient system and the charming Las Buitreras Lodge that serves it represent the pinnacle sea trout experience. Why? Well, the reasons are many, beginning with that fact that the international and eclectic cast of anglers that visit the lodge are essentially the only anglers on the entire system. Oops... We must have sold out.